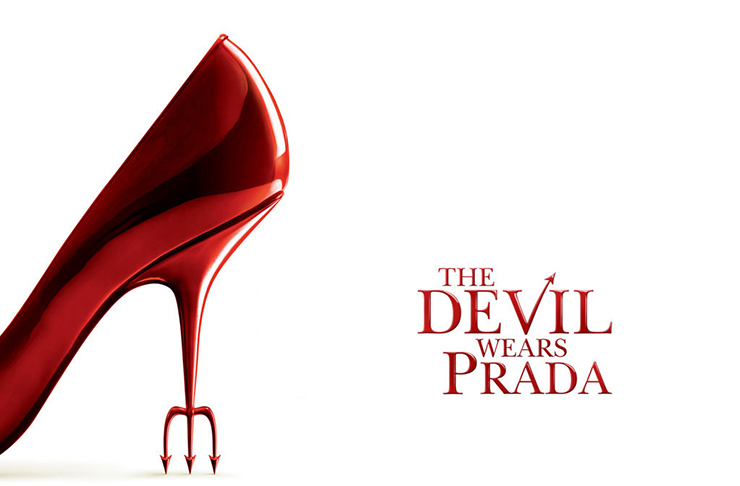 Starring: Anne Hathaway, Meryl Streep, Stanley Tucci, Adrian Grenier, Simon Baker. Plot: A young provincial girl, Andrea “Andy” Sacks, arrives to New York City to make a career of a journalist, but temporarily gets a job “a million girls would kill for” – a position of a junior assistant to Miranda Priestly, the editor-in-chief of the “Runway” fashion magazine. She has to deal with eccentric and sarcastic tasks of her boss, having in mind that if she will manage to stay here for at least one year then all the doors in the world will be opened to her after. Although the movie is about fashion, many designers and celebrities ignored it, being afraid of the rejection from the side of the editor-in-chief of Vogue US, Anna Wintour, who was, as believed, the prototype of Miranda Priestly. 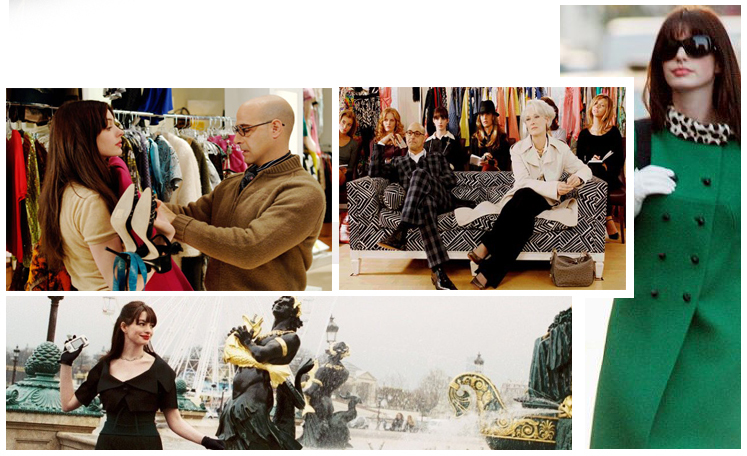 Nevertheless, many designers allowed to use their clothes and accessories for the movie, which made this movie the most expensive film in regards to the expenses for clothing of the main characters. Later, Wintour overcame her initial skepticism and acknowledged that she liked the movie in general and acting of Meryl Streep in particular. The design of the costumes cost to the movie creators $1 million which is the way more than it had ever been before. Miranda’s necklace itself was bought for $100,000. Starring: Anna Wintour, Grace Coddington, Mario Testino, Patrick Demarchelier, Oscar de la Renta, John Galliano, etc. 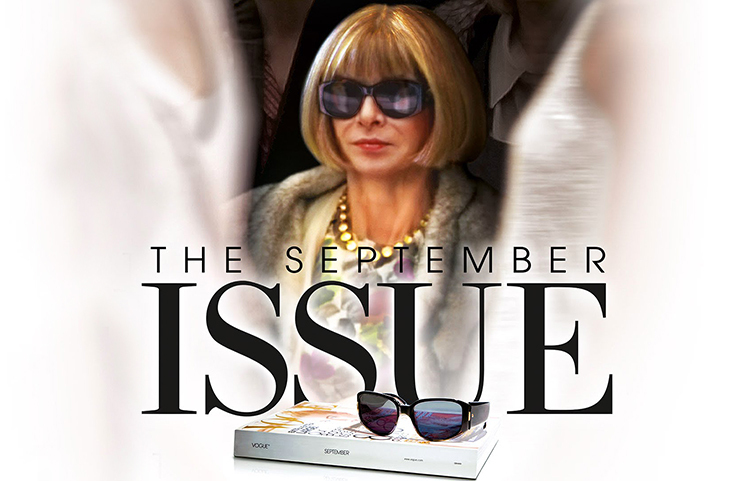 Plot: Documentary movie about Anna Wintour, the legendary editor-in-chief of Vogue Magazine. The September 2007 issue of Vogue US became the thickest in the history of this magazine – 840 pages. The movie tells about the basic stages of the preparation of the issue to publishing: choice of headings, fashion trends and accessories, shooting fashion stories, cover photoshoot, selection of the final materials. The elements of the confrontation between Anna Wintour and her right hand, the creative director and stylist Grace Coddington, were used for the story line of the movie. Grace is the only person in the team of Vogue who constantly argues with Anna Wintour, but still she recognizes the talent of Anna for capturing new trends in fashion; and Anna in her turn admires with the professionalism of Grace. They came to Vogue on the same day, and this probably something that keeps them close to each other and at the same time leaves a little tension. Due to the popularity of the movie, the September issue of Vogue US for 2007 costs around $80-115 on eBay. This issue became one of the most popular and expensive. 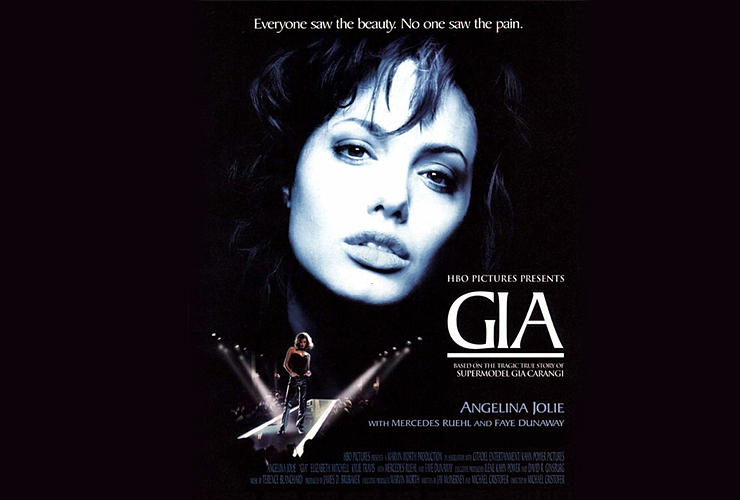 Plot: A biographical drama about the life and death of the known in 1970-s supermodel Gia Carangi, her personal diary, stories of people who were close to her, her friends and colleagues, starting from the times when she was 17 and worked at her father’s snack-bar till her death in the age of 26. The movie will definitely amaze you with the stunning scenery and costumes. A good opportunity to look at the modelling business from inside and outside. A curious fact: a photo of the real Gia Carangi can be seen on the 33-rd minute. The editor of Vogue in the movie views photos of models looking for the one for the new magazine’s cover, and when she takes a photo of real Gia she comments on it: “boring”. Starring: Bill Cunningham, Anna Wintour, David Rockefeller, Tom Wolfe, etc. 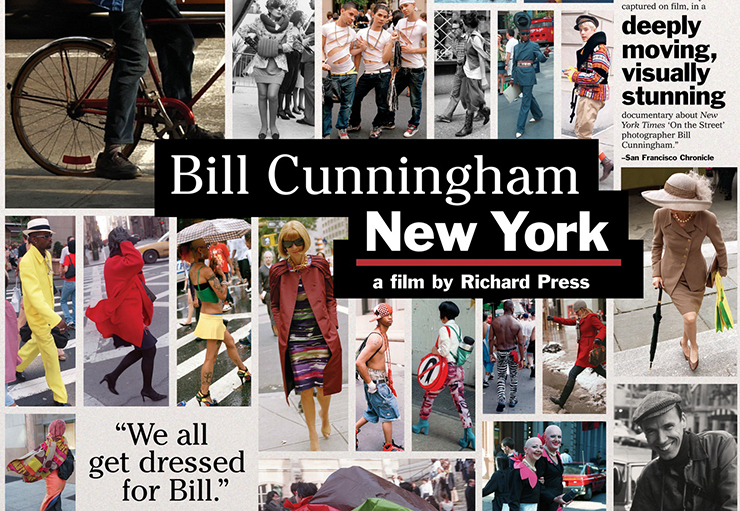 Plot: The biographical documentary movie about the famous New York street photographer named Bill Cunningham. Cunningham, however, does not consider himself a photographer. For 30 years he worked as a columnist at “New York Times”, at the same time taking fashion shots of people in the streets, becoming almost a pioneer of the street fashion photography. Photos of show business, fashion and movie stars brought him real popularity. 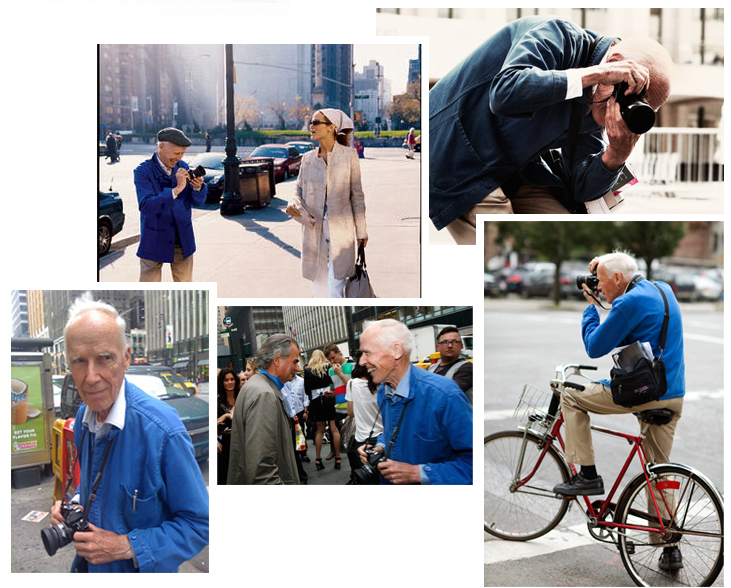 Bill Cunningham, on his old-fashioned bicycle and with the camera over his shoulder, is loved by many New Yorkers. However, only a few people know about his personal life. The filmmakers tried to lift the veil of secrecy and tell us about the true fate of this extraordinary man. Starring: Blake Lively, Leighton Meester, Penn Badgley, Chace Crawford, Taylor Momsen, Ed Westwick, etc. Plot: American teen drama television series based on the book series of the same name written by Cecily von Ziegesar. 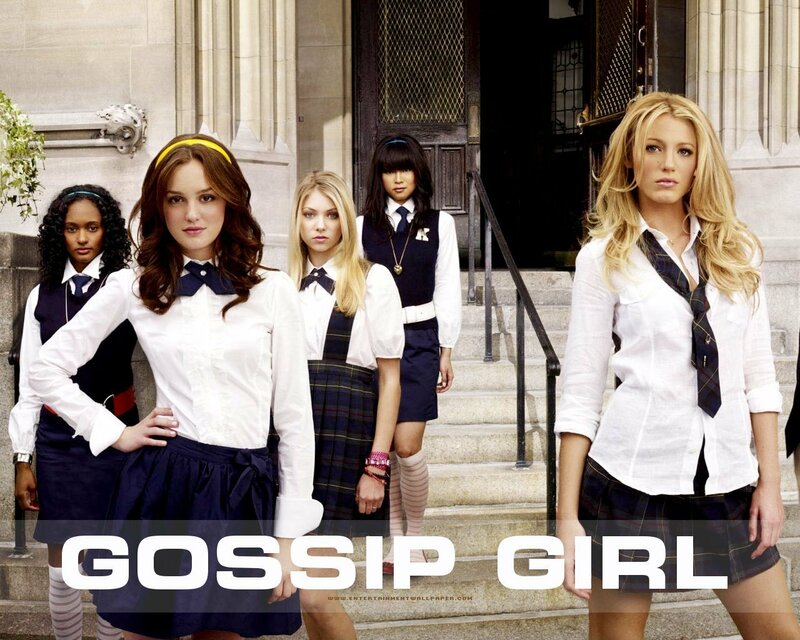 Narrated by the omniscient blogger “Gossip Girl”, the series revolve around the lives of privileged young adults on Manhattan’s Upper East Side in New York City. They study, become friends, fight, take drugs, jealous, suffer from love, hate, and everything else that is inherent to the characters of teenage dramas. The film is being shot in New York from start to finish. Scenes take place in areas such as Queens, Brooklyn and Manhattan. The city is on the screen constantly, and some of the episodes are shot directly inside of the leaving apartments and houses in New York City. 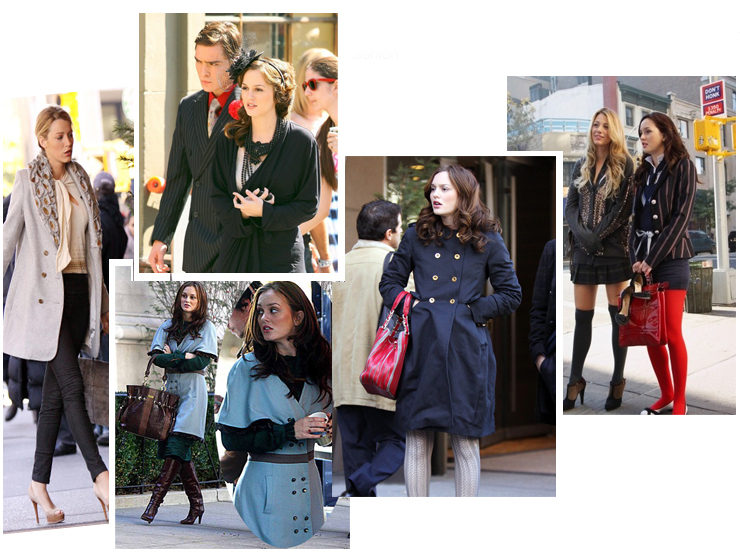 “Gossip Girl” pleases us with the countless designer clothes being shown through all the series and worn by almost all the movie actors and actresses, as well as with mentioning of many well-known brands and their discussions by the main characters. 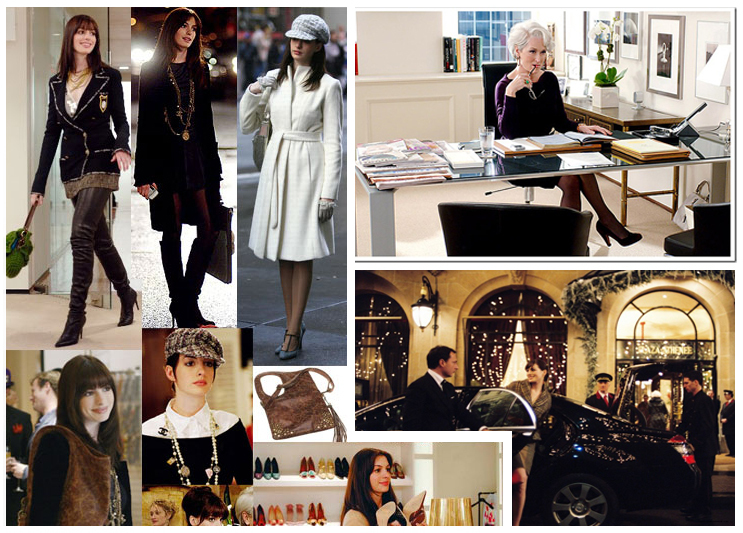 Beautiful views of New York and luxury apparel for all series of the drama makes it worthy of our list of movies associated with fashion.